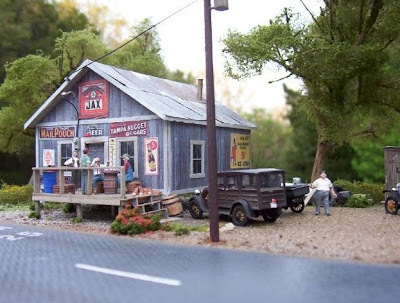 If you're planning to start a new cool hobby, why not pick up building Model Trains or buildings? And look no further than Evan Designs too for my visit today left me in awe at all the beautiful life-like models and building structures on display here! Established since 1997, the very talented team at Evan Designs develops software for modellers. Products are created in-house and feedback from customers is welcomed, which aids in the production of effective, fun and easy-to-use modelling software. I don't consider myself very crafty but Evan Designs make it looks easy for just about anybody to create your own ideas, or start with one that is already available for free. Using the building software you can find here, feel free to make all your favourite building or those you can't very well afford to buy in real life! I wanna go to Dairy Queen and Taco Bell! If you're new to Evan Design, you can start by purchasing the Model Builder for only $45, which comes complete with a Project Idea Booklet. Use the 6 projects and included sample buildings to start assembling your structures with the 500 textures included in your purchase. 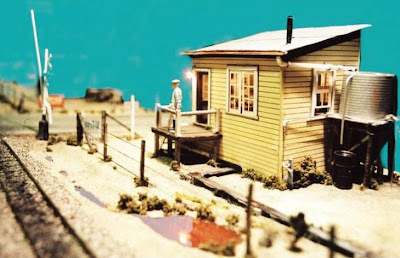 Fancy the cute little models and structures you see here? Please visit Evan Designs to explore further; have fun and happy building! I just got back.. wah so many pple everywhere!! yeah i think diff to do this...hahah I'm not that crafty! But at least u can paint ur batik prints mah….nice some more…. This is super cool Marzie! It looks like those freaky sets from CSI Las Vegas!